There are only two lists this week. There is no modified third list. 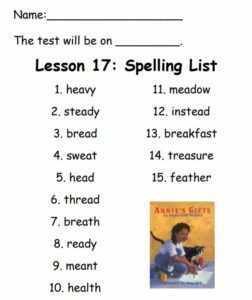 The spelling list focuses on short vowel e/ea/ and syllable pattern V/VC.